You know, you can buy instant potatoes in a box. That’s like 5000 taters. I think you’re onto something. ok, I can’t sleep now!! But let’s think this thru. If the Prius is 78 hp, the question I have is how many boxes of Instant Potatoes could run a Prius for a day. The answer lies in how many calories a horse needs in a day. Its about 10000 is my guess. 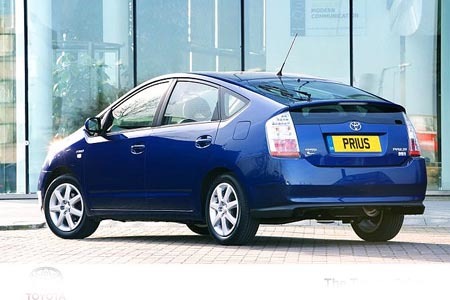 (If a man is 3500, and a horse must be about 3x that – and a Prius is a small car so its runs on small horses). So the next question is how many calories does a box of instant potatoes provide – it varies by brand but about 6000 calories per box. = 130 boxes of instant potatoes should run a Prius for a day. Holy Potatoes! Another use for the Idaho potato! We were wading through the math to see what to do with our extra spuds, and those calculations were just too much for us. Now, thanks to you, we have brain lock! I like the logic here. I followed this one, although I was there during this conversation with the customer, so that might have helped. I think we can get even further mpg with potatoes if we use Sweet Potatoes, I mean they are sweet and orange and that has to account for something. @marc ha ha. I never thought about the sweet potato. I was going to add something in there about “Marz” but figured no one would get it but us picked lasters. Since Panera is 2 miles away, you coud just eat 2 potatoes (126*2) and burn 200 calories walking or jogging there and save your self lots of heated discusions with YEB.